The winter blahs are real. Offices all over the country, the world even, are stuffed full of cubicles housing the common office worker. The common office worker is teased with ample “natural light” and maybe donuts a few times a week. There is a disorder called S.A.D and it stands for seasonal affective disorder and let me tell you my friends—it is real. Winter, for those of us that are all about outdoor pursuits, particularly fishing, is a time when the fish are not biting and mittens are no good for casting and that is truly sad. Just when all seems wrong with the world and you are trying to decide which electric blanket to buy, don’t give up! Spring is right around the corner, and it is going to be an epic year here in Colorado! Book Your Rocky Mountain Fly Fishing Adventure Today! Kirk’s Flyshop is currently booking for the 2017 fly fishing season and we have a shack full of guides that do nothing but tie flies and watch “A River Runs Through It”. At Kirk’s we hire nothing but the best and most committed guides in the country. 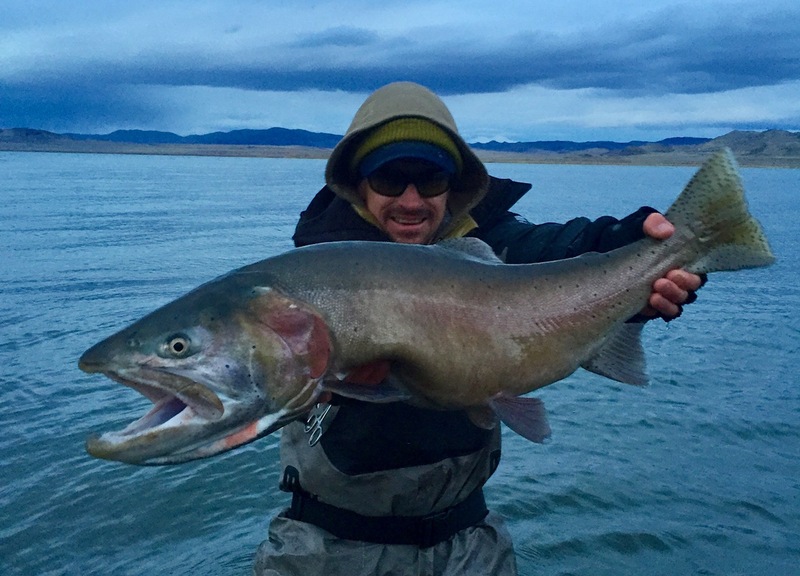 These guys eat, sleep and breath fly fishing and are completely obsessed with getting their clients into some truly remarkable action. These individuals are intimately knowledgeable with the waters that we guide, they study them, they fish them, they even dream about them. They know what fly patterns work during which time of year and they even know which fly patterns work at different times of day. Their fly boxes look like an elderly person’s pill box with separate compartments for morning and evening. The bottom line is, the guides at Kirk’s Flyshop will get you on the fish. So book your Colorado fly fishing adventure today and beat the early spring rush!